When preparing to enter college, having a well organized schedule of how you will spend your time will make all the difference. You're never too young to start; you will find something valuable here if you are a senior trying to pick a college or a freshmen in high school just starting to develop your own interests. Be sure to schedule regular meetings with your College Connection counselor, and to keep in touch by telephone and e-mail, so you can stay ahead of the curve and on the leading edge in your quest for admission into the college of your choice. Meet with your College Connection counselor to map out a four-year curriculum that will put you into the most challenging courses you can handle. Register for the PSAT or the PLAN if they are offered to sophomores at your school. Get serious about your schoolwork if you haven't already; junior-year grades are extremely important as is the rigor of your coursework. Be sure to register for the PSAT or the PLAN. Attend college fairs and gather information. Plan to work really hard this term. Your grades will be included on your transcript. If necessary, register to retake the SAT or ACT. Review your final list of colleges with your counselor, and start gathering applications. Once you've received the application forms, begin working on the essays. Thinking about applying early? You need to decide soon. If you've been wanting to start something new, now is the time. Join the school paper, learn to play golf, or try out the trumpet. Draw up a list of college majors that you think might intrigue you, and review your four-year course load with these majors in mind. Take the PSAT to practice for the SAT and to qualify for scholarships from the National Merit Scholarship Corp. Talk to your parents about limits - e.g., financial or geographic - they may set on where you attend college. It may affect your decision about where to apply. Talk with your College Connection counselor about college application deadlines. Some state schools have late November deadlines. If you want to take the SAT or ACT tests again, sign up now. The December administration might be your last chance. Mail early-action or early-decision applications. Request that your transcripts and test results be sent to colleges. Continue researching scholarships. Begin assembling documents for financial aid applications. Remember to buckle down early, since even your ninth-grade A's (or D's) will count in the eyes of most college admissions officials. College fairs can be a great way to "see" many schools at once. Try www.nacac.com, or talk to your College Connection counselor. Talk with your parents about how you will finance your college costs and how much they expect you to pay. Remember: a private school that seems more expensive on paper may actually be more affordable than a public school once you figure in financial aid, and you won't know that until you get in. Finish writing your essays, and have them proof-read by a parent or teacher. Work on revisions and rewrites with your College Connection counselor. Give out recommendation forms and stamped envelopes addressed to the colleges' admissions office. It's best to take the SAT as soon as you complete a specific course, like biology or geometry, for example - even if that happens to be in ninth grade. You can sign up now for the spring administration. Discuss your PSAT results with your College Connection counselor, and figure out how to make improvements if needed. While it's probably too early for a test-prep class, you might want to do more reading in your free time, take more challenging courses, or practice on old tests. Review your PSAT results with your College Connection counselor, and decide whether you'd benefit from a prep course or from using test-prep software. You can also improve your score by practicing on previously administered exams. Submit applications online, by mail, or turn them in at school. Complete and file the CSS Profile, if required. Begin working with your parents and College Connection counselor on the Free Application for Federal Student Aid form. Apply at www.fafsa.ed.gov, or get forms from your high school or by calling 1-800-433-3243. It's never too early to start saving for college. You might begin by laying aside any money you received over the holidays. Take some time to think about why you want to go to college, which may have a huge bearing on where you should apply. Look into National Collegiate Athletic Association requirements if you think you may want to participate in sports in college. And consider whether your sports experience jibes with your college plans: Do schools that interest you field teams in your sport? Do you have a chance of playing on them? Identify the characteristics of a college that matter to you: size, geographical location, academic rigor, social environment, or diversity, to name some key examples. If you hope to play a sport and may qualify for an athletic scholarship, contact coaches at colleges you're considering. File all federal financial-aid forms, and apply for state aid. Verify that all your application materials have been received. Don't give in to "senioritis." Your admission is contingent upon your final grades. Colleges want to see passion and commitment. If there is something that really excites you, explore it. Too often, students wait until junior or senior year and then hurriedly - and unconvincingly - pad their resumés. Teacher's pet? You might want to keep it up. You will need teachers who know you well - and like you - to write your college recommendations. Check with colleges to see if they prefer - or require - the ACT, the SAT, or none of the above. Most colleges will accept either the SAT or the ACT. Check with colleges to make sure that they have all the documentation they require. Also, be sure your high school sends your mid-year grades. Thinking about college? Don't. Or at least don't think about it too much. Focus on your grades and your interests. If you learn how to handle school, extracurriculars, and a social life now, you'll be ready to apply to college senior year. Decide if you want to take a SAT subject test. It's often better to take the exam as soon as you've completed the relevant class, instead of waiting until later. With your parents and College Connection counselor, make a list of schools to visit during spring break (or in the summer or fall). If possible, it's best to visit while schools are in session, so that you can visit classes and talk to students and professors. Continue to look for sources of financial aid. Try your place of worship, your school, your parents' employers, and free websites like www.fastweb.com. years of English and math, competitive colleges also look for advanced science and social science classes as well as some foreign language courses. Talk to your College Connection counselor and your parents about whether you should take summer-school classes to improve your grades, fit in a needed course, or further investigate a subject that appeals to you. Register for June SAT or ACT tests, especially if you plan to apply early. By now you should have most of your decision letters. If you've been wait-listed by a top-choice college, contact the admissions office and show your continued interest. Evaluate your financial-aid offers. You'll have to make a deposit by May 1.
time to visit a few colleges. You'll start receiving registration and orientation materials this month. Are you going to live on campus or off? Enroll in the meal plan? Remember that besides tuition, housing, and food, there will be books (and movies and pizza) to pay for. Research careers and talk to your parents or other adults about your interests and goals. Find opportunities to meet people working in the professions that you think may interest you. Take the ACT or the June SAT, if appropriate. But remember, once you request that your SATs be sent to a college, that school will see every SAT test you've ever taken. Start researching scholarships. You may find useful information in your school or public library and online at www.fastweb.com. Start thinking about your college essays and teacher recommendations. 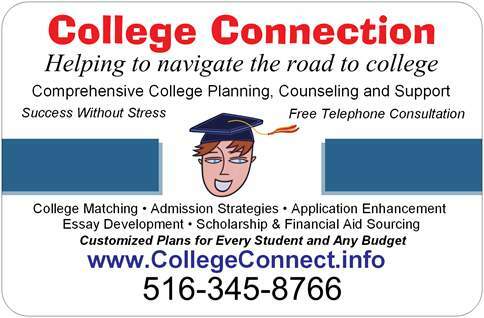 Have your high school send your final transcript to your college. Read for pleasure, and while you're at it, learn the unfamiliar words. Vocabulary skills come in very handy on the SAT - and in college, too. Spend some time researching colleges. Can you begin to narrow down a list of some types of schools that are appealing to you? Urban or rural? Big or small? for applications and scholarship forms. Notify the financial aid office if there have been any changes in your family's circumstances that might make you eligible for additional aid. Perhaps one of your parents was laid off, or there was a major illness in the family. It's ok to take some time off and relax, especially if you've been having a productive summer. If you're close to a university, consider dropping by and walking around. Even an hour long visit will give you a feel for a college. You'll also get a sense of your own likes and dislikes. If you haven't already been to campus, visiting schools now will help you create a list. Map an itinerary, and set up admissions interviews. Counselors advise entering senior year with three or four schools in mind that are apt to accept you, plus a "safety" and one or two "reach" schools. Make sure you know when tuition and room and board payments are due so that they're paid on time. Make a list of what you'll need for your new dorm room. It's time to go to college! Information adapted from US News.